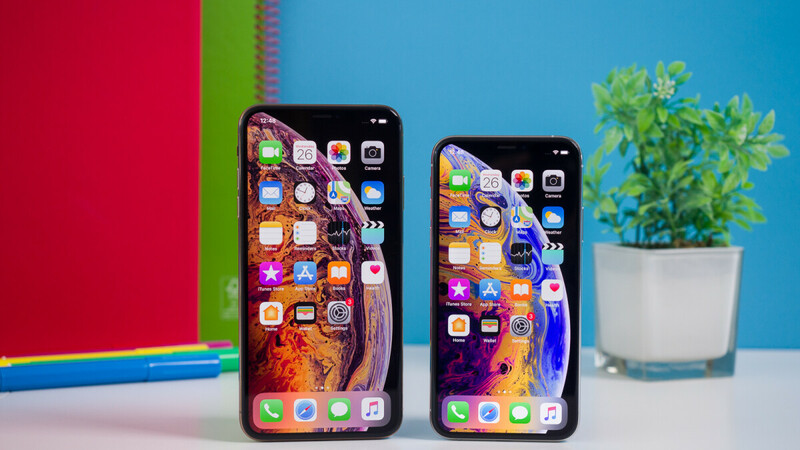 After multiple reports regarding weak demand, it was claimed earlier this month that Apple had cut iPhone XS, XS Max, and iPhone XR production. Today, in yet another report, it’s claimed that the Cupertino-based giant has once again cut the production of its latest devices. As with the previous cuts, it’s stated that the decision is directly related to weak demand. The report didn’t specify how big the latest production cut is, but it’s said to be affecting suppliers in Taiwan. In fact, one company has been forced to lay off as many as 110 employees in order to cope with Apple’s production cuts. Furthermore, iPhone camera lens supplier Largan Precision is now estimating a big drop in revenue for the month of November. It’s also claimed that TSMC, the company in charge of producing the A12 Bionic chip, has seen a cut in orders. Unlike other suppliers, though, it remains largely unaffected due to its involvement in the production of Huawei’s new Kirin 980 chip, which can be found inside the Mate 20 series and Honor Magic 2. With Apple no longer prepared to publicly disclose its sales figures, revenue will be the sole indicator of the iPhone’s popularity. But with the pricing of each new model now at an all-time high, the weaker demand may go unnoticed for the time being. Poco F1 proves that there is no reason to hike prices every year.Its only greed.Consumers are getting smarter and not falling for catch phrases. Very easy to Install Google camera on pocophone and you have a camera that is much improved. Not smarter. They simply arent buying what they know they can't afford. $750 for a 2 year old spec'd phone is a shame. And $1000 is simply too expensive without credit. The XR is $1000+ outside the US. But the Poco doesn't possess Apple's fantastic ecosystem, I'm afraid! When you buy an Apple product; you don't just buy an Apple product, you also get an entry into the ecosystem so consider the extra cost as an 'investment' for a better living! I know, I sound like a BIG SHEEP but... Right now, I've an iPhone 7 and a Mac Mini (2012) which I bought from a yard sale (I know) for around $120 (AUD) when my Dell Optiplex 755 went belly up. That Mac was the number one reason why I chose to go with an iPhone 7. Make a calendar or perhaps a note on my Mac and presto... It's there on my iPhone as well! Take a photo on my iPhone and it'll 'magically' appear (Sync is the word) on my Mac. Same goes to iMessage, contacts, music, whatever, you name it. And if I lose my iPhone, I can find it in a moment's notice. No more downloading this app on phone, that software on computer. It all works right out of the box. And all I've to pay is $1.50 AUD per month for 50GB of iCloud storage. That's quite cheap for what I'm getting! G'Day! Icloud storage price is dirty cheap so the Google storage. I think it's the same price here in UK icloud versus Google storage. Another thing can't you do the same thing with google photos to back it up. Sync the slider on the phone and do the same on your PC ?! There is NOTHING Apple offers you can't get anywhere else. You are a complete unknowledgable person when it comes to facts. Like all Apple fans. Sorry your claim is just bogus. Google Maps tops Apple Maps by decades. Google Docs blows Keynote and Office on Android is way better than on iOS because of an open filesystem. Google Music is better than iTunes because I can upload my entire library free and stream to any device regardless of platform. And I have access to the majority of the same artist for the same price. Spotify blows Apple Music. And for the artists that are only on iTunes? Well they didn't want my money anyways since they support ok only the 2nd most popular mobile platform only. And for what you pay Apple for 50GB, would be 100GB on Google Drive. Sorry bruh, you need to fact check your baloney Every service Google offers that apple offers OS better with Google. Even Microsoft has better drive service. Sorry, did you just say google docs is better than MS office? Maybe you shouldn’t be calling people “unknowledgable”. The Pocophone or any other Android phone has access to a fantastic ecosystem too. One that is far more accessible, functional and has a lower cost of entry and running costs. The Apple ecosystem is limited, expensive and does little that you cannot do if you an Android phone. Every element of the Apple ecosystem is bettered, the cloud, apps, programs and hardware. My contacts, photos, calendar, messages, music, sports data, notes are all synced and the apps or programs that I use are all better than the equivalent Apple ones. The hardware I use also works well with other equipment, while Apple products only work well with other Apple products which is so limited. With all this I am not forced to choose from a limited number of overpriced, usually inferior products and be held to ransom when I want to get repairs. You are also tied to an inferior operating system that is limited, can only follow the competition and is controlled by a company that thinks only of profit and not its customers. You clearly are blinded by what is available outside of the Apple ecosystem. They need to stop the 60+% mark up on every product they sell. There just to expensive, what will they do next year same phone marginally better and raise the cost. Which means selling even less phones. A person who dowsnr needs mobile payments, won't use it anyways. So it not being there is not a drawback for them. There are millions of users with iPhones who dont use Apple Pay. People already know a cheaper phone won't have certain premium features. But I can say that a phone that cost $750, should have at least a 1080p most supported standard resolution. If Samsung had offered a Galaxy S9 Lite, with the same CPU as the rest, but only gave it a 720p display, and the S7's cameras, you all would have said Samaung has lost their minds. And you would be right. But why not do the same when Apple does it. Greed is greed no matter who does it. If a “720p” lcd display is visually sharper than a 1080p oled, why use it? He is brainwashed by numbers, it's all what he sees. Because it isn't sharper. It is mathematically impossible. Sharpness is create by pixel count, contrast and brightness. All of which won't m Br as good on a more expensive panel. The fact you even repeating that BS shows you know nothing about tech. "It is mathematically impossible" Your earlier comment about percentage makes this even more funnier :D Have you ever heard pentile display and what it means? Maybe do some research. https://www.oled-info.com/pentile "Some people indeed do not like PenTile displays. Mostly it seems because there is a visible pattern when you look at the display up close. Your eyes get used to this pattern quickly though, and the higher resolution the display is, the less visible the pattern is. Modern PenTile OLED displays reach very high pixel densities that make it virtually impossible to notice the patern." That's why OLED screen has to be higher resolution than LCD to get same sharpness. Jonathon Morrison picked the Poco on purpose knowing full well it has a poor screen, why didn't he pick one known to have a good screen around the same price? Totally rigged test by one of the biggest Apple fanboys on YouTube. exactly. so he clearly prove the point that screen is lot more than number on paper. So what was your point again? He's point was to show that you shouldn't put too much attention to numbers. No-one didn't choose poco because it has 1080p screen, no-one in the video didn't say it look sharper. They couldn't see the difference in sharpness so everyone chose the better looking screen overall, which was exactly the point with that. it's funny how you are obsessed with the resolution when the screen is lot more than the resolution. You keep repeating that same message after message and forget which really makes great screen vs good screen. There's a lot more important things which makes screen look great which you can see from youtube link i pasted, no-one didn't thought that 1080p was better screen over XR screen. My iPhone 6 Plus had a higher resolution LCD screen than the XR. Please explain that for me. No more $1000+ phones for my broke arse. It’s mid range for me nowadays. Lol. It doesn't mean you are broke. It just means some products are priced out of your reach. Cars that cost 7 figures are priced out of my reach. That doesn't make me broke, because I can't afford one. People criticised steve jobs for prices back in the day but he always spoke about the middle class and always wanted devices in the hands of many, he spoke of the 200-300$ price tag being very important for consumers , which led to their success of the iPods. I always had this feeling that he would have taken the iPhone in a different direction if he was around. even iPad which was the last product he launched , I remember him saying 499$ being a magical price for most consumers. Under him they followed the same formula ever year , better tech at same price or lesser prices. The Products were still expensive but always affordable. Wonder how jobs would have viewed this new Apple. They seems obsessed with shareholders n buybacks than investing in new tech or software services or caring about consumers. I returned my XS Max and kept my 8+. Hated the new design and ergonomic work-arounds due to the missing home button. Face ID was awesome though. I wish they had just made a phone with the same size screen but shorter so it would be easier to carry. Techfan: but all oems effect each others sales regardless of platform. Yes the iPhone is still gonna outsell a lot of phones. Still doesn't change the fact the swlls are falling. Yes Apple will still make rhe most profit. Yes by charging you $750 for a phone with lower specs than a phone that cost $750 2 years ago. And charging you a whopping $1800 for an iPad that does less than a Surface. That starts at $599. A company who charges you $1000 for a phone and doesn't include a fast charger no adapter, and cheap headphones and cables. From a company that charges $130 for a stylus that should come with an iPad that costs $800. When the Surface and Note and Tab S4 all come with a stylus. And yet all those devices start at a lower price point. From a company who gives only 5GB of storage free, which is costs them zero to just give 15GB, which ALL other cloud services give. From a company who changes the power adapter in every mac model, so that it forces you to never dorgetvyour power cord, because if your friend doesn't have the same mac, you can't use his. From a company who steals others technology, usesbut. Then doesn't wanna pay for it, and then files lawsuit to try to not have to pay. From a company who hides 90% of its earnings offshore to not pay taxes. A company that uses the US court system to fend off competition like blocking Huawei from the US. Btw Apple, Huawei does need the US to beat you. All they need is India and China which they have over you and they are beating you. This is what they get for pricing these phones so high and giving nothing back. Without a system of debt, the iOhknenia simply priced out of the wallets of anyone outside the US. Period! And to the fans, OEM sales are effected by other OEMS. regardless if platform. Some like Windows, are effected less. But with Android, anyone can be king. Samsung was once at the bottom. HTC was once on top. Apple better wake up. Please shut the f**k up. You keep posting the same tired crap about how Apple hides taxes, Apple steals technology, Apple used the court system to block Huawei, etc, etc. Why don’t you take the evidence you have and go public with it? Apple, even with their enormous bank account, wouldn’t be able to buy themselves out of that much trouble. At the very least you’d get Tim Cook removed. TechieXP you are a seriously delusional freak. Oh, and get your keyboard fixed. "Why don’t you take the evidence you have and go public with it?" We always ask you to go back to living under a rock, but clearly we were wrong, you never stopped living under a rock. The evidence you're asking for are out for all the public to see, it's just that Apple is one of the many companies that are heavily protected by Wall Street. When Drumbf threatened them to either get some of that money they're hiding outside of the US or get punished, they brought in around 285 billion dollars, invested them in their stocks, which led to them to being the first company to get valued at 1 trillion dollars. They didn't bring the money and pay their fair share of taxes, or invest them in something that will create jobs, they put the money back in their pockets. But karma got them back, they lost more than 200 billions in 5 weeks and lost their 1 trillion crown. Every point addressed by Techie, has tons of evidence on the web that backs up his claims, it's just blind fans like you don't want to see them.